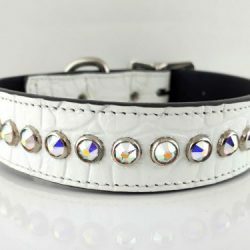 All Swarovski in white Italian crocko leather with AB Swarovski crystals. 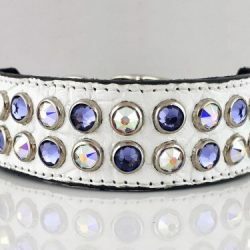 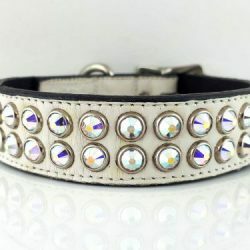 Exquisite collection of collars and leads in Italian leather, with beautiful Swarovski crystals & nail head ornaments. 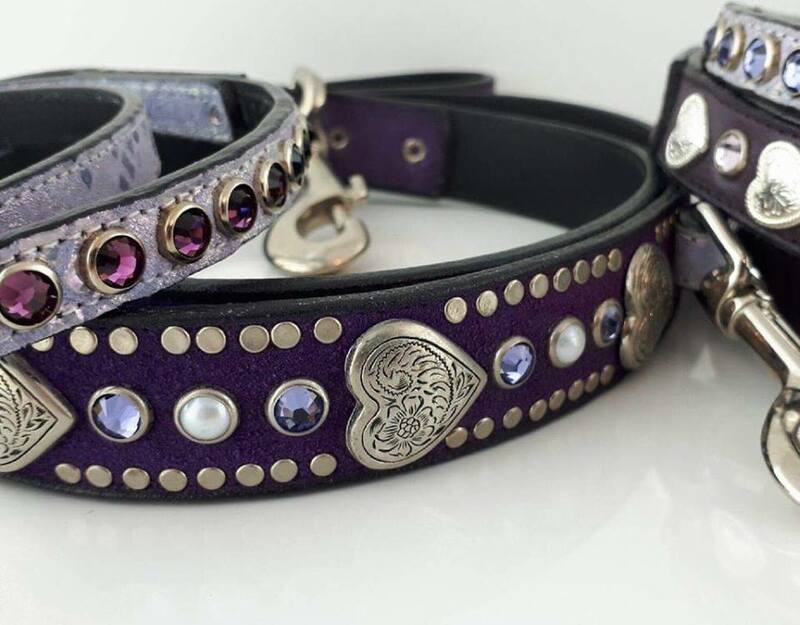 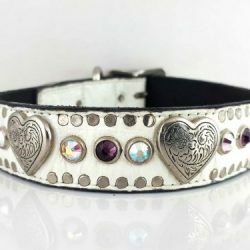 These handmade dog collars and leads are truly a crowd favorite. 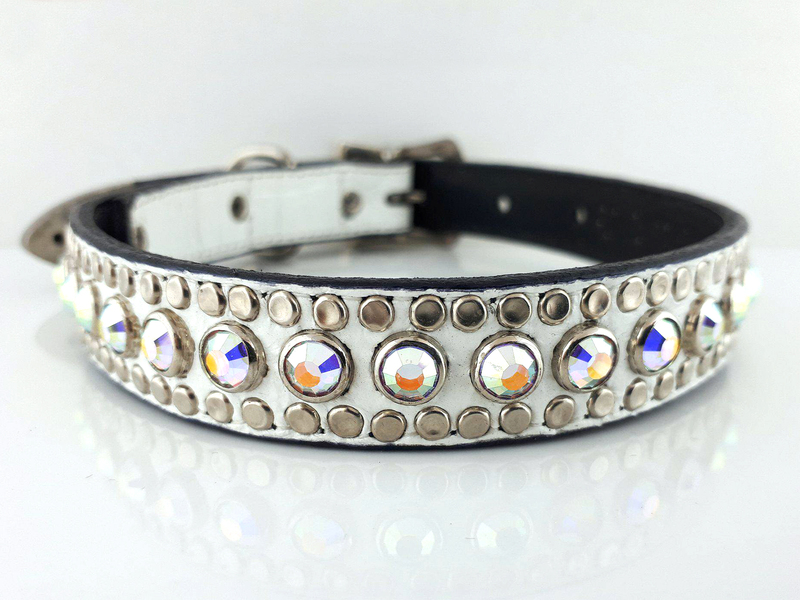 Please note because of physical limitations only the 3/4″ and 1″ wide dog collars and leads have a nail head border.